Hi, thanks for visiting. 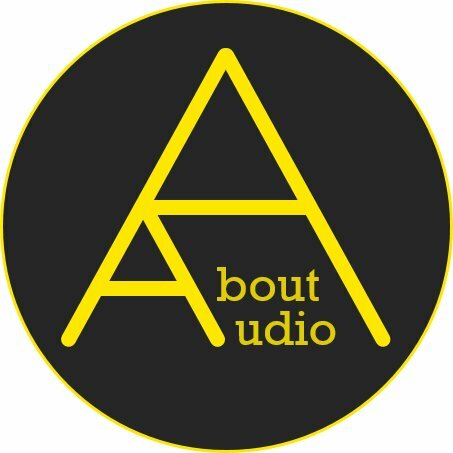 About Audio is a website dedicated to audio related contents such as reviews, impressions, news, photographs, any other audio related thoughts that I would like to share. Hi – I’m Paul, a full-time student from Michigan who enjoys photography, audio gears, and music – almost a decade since I started to gain interests on audio gears actually. My first audio gear was a $12 Philips earbud and YP-RB, a small MP3 player from Samsung. Not only for enjoyments but, music has been helpful in my life when I was stressed, bored, or even anxious. I was not really expecting this hobby to become this big of a deal, but well here it is. I’ve been scribbling impressions/reviews either for myself or for a smaller audience, like close friends of mine. I wasn’t actively publishing impressions to anonymous or the www – as writings were done just for my own satisfaction rather than serving to share thoughts with others. It was like a diary I guess, but for audio gears. Composing these “audio diary” along with my own photographs gave me great joy. Then I later got a chance to visit few audio exhibitions and to even meet Jude from Head-Fi. After some talk, he introduced me about Head-Fi and suggested to join the community, lighting my interest on online communities and share impressions with others. For recent days, I have been also working as a consultant/intermediary/assist for manufacturers and headphone magazines as a part time job. All words and claims that I make here are solely from my honest thoughts and I will be staying as objective as possible. I do not get paid to make either positive or negative comments for my words, nor do I cover clones/fake products with copyright issues. I also do not review DIY products unless it has high standards and credibility. Reviews and impressions will be made from the products that I have purchased by myself but will also likely contain items supported by manufacturers or fellow audiophiles. In case the reviewed items are provided/loaned, I will be adding a disclaimer at the end of the article. No matter how I’ve obtained the review items, my impressions will continue to stay unaffected and will be rated upon its official price. I am a picky listener when it comes to cost effectiveness and worthiness. My taste of sound and preference are pretty omnivorous. I do have favorites of course, but I can enjoy pretty much all kinds of sound signature without getting hating it. I would also like to remind that reviews cannot guarantee that your experience will match with mine. Reviews or any form of impressions varies a lot, which is why reviews should only be used as a reference, not as a bible. But what a review can do is to give a rough idea about the key features, pros/cons, and the overall sound signature. I hope my impressions will do the same as well as bring enjoyment while you read. Please note that my rating system is different from general “rank tables”, and I’d like to make this clear. My rating systems are evaluated based upon multiple categories, including price – means that just because one rating is higher than the other one doesn’t necessarily mean that it’s a better sounding gear. It is common to conclude an audio gear by putting up a rank table, and I personally think that is nothing close from being accurate. It’s just impossible to put up a rank table (or a list) without applying their personal preference, unlike smartphones. The rating lists from the main page will be displaying in chronological order, while the one from the ‘audio reviews’ menu will be showing in the ranking by points. About Audio is still in its early form, many things could be changed in its form or style, so feel free to drop any form of feedback. Thanks for your visit and happy listening.